Paddle Victoria are able to hire canoes and kayaks out to Paddling Clubs and School groups. 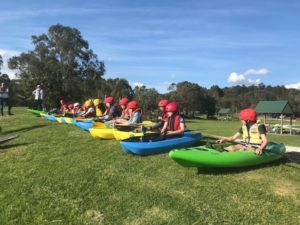 There could be various reasons as to why you would need a boat such as a school group needing boats during a program or camp or a club needing boats for a certain race or program such as ‘Clean up Australia Day’. Paddle Victoria are here to support you in any way possible in your paddling adventures. Contact the office on 9020 2750 or email Sandra at accounts@paddlevic.org.au to find out more.